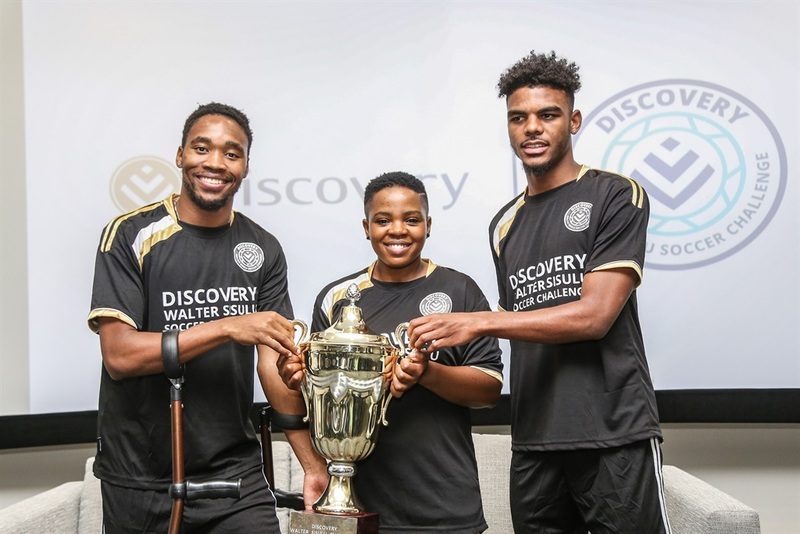 The annual Discovery Walter Sisulu Soccer Challenge will officially kick off at the Nike Training Centre in Klipspruit, Soweto on Saturday. The competition, now in its 16th year, is expected to unearth new talent that will follow in the footsteps of Bafana Bafana and Bidvest Wits captain Thulani Hlatswayo, Mamelodi Sundowns midfielder Sibusiso Vilakazi and Orlando Pirates striker Lyle Foster. The trio are now the ambassadors of the popular “kasi” competition. “My personal journey with Discovery started years back when I played soccer for my local team, Meadowlands Chelsea. I used to play soccer socially and as a result of tournaments like these, I have fulfilled my dream of becoming a professional football player,” said Vilakazi, who is currently recovering from an Achilles rapture. “There have been great improvements since my days of playing in the Discovery Challenge. I hope that sharing my journey with Discovery will have the same impact on both male and female soccer players,” added the Bafana star during the launch this week. Vilakazi played in this tournament more than 10 years ago. This year’s edition has 64 teams participating. The event will take the form of a mini-league round-robin stage, with the top two sides from the groups of eight advancing to the last 16 stage. The tournament runs until December 29. To stay up to date with the fixtures, follow the official Discovery Walter Sisulu Facebook event page, along with the official hashtag #DWSSC, for more information on the tournament.